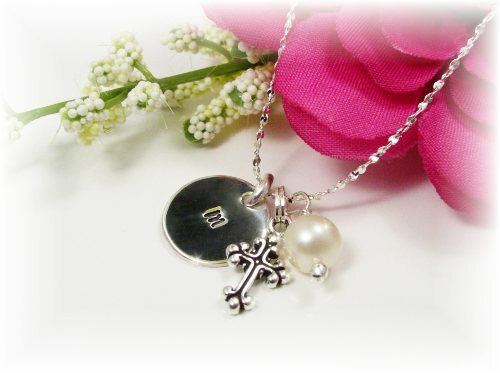 This pretty little hand stamped pendant necklace is a perfect First Communion gift!� A 1/2" sterling silver disc is hand-stamped with your initial and accented with a petite cross charm and birthstone or pearl dangle. What girl wouldn't love to receive this beautiful pendant necklace?! Hanging from a 16" sterling silver chain is a 1/2" sterling silver disc that is hand-stamped with your initial (in lower case - see "more images" for typeface) and accented with a petite cross charm and your choice of birthstone dangle or freshwater pearl. 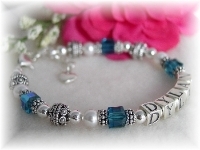 Simply charming! 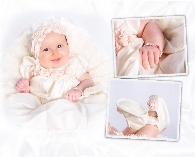 Perfect for First Communion or any occasion!